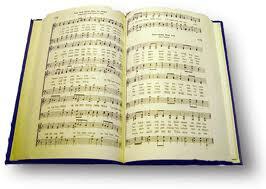 This hymn was written to express the call of Jesus to his disciples as described in Mark 1:16-20. In verse 1, how does the author help the singer to personalize a call to the first disciples and internalize it? What phrase sounds just like your daily life? What does the hymn writer say the first disciples had to leave behind? When Jesus asks you to be a disciple, what do you leave behind? Everyone knows somebody who worships busyness. How does the hymn writer address that temptation? It is not easy to put Jesus first. It isn’t easy to put anything ahead of fulfillment of our own desires. How does the hymn writer help us pray about this problem?